Four years on from its release of Back from the Dead 2, Chief Keef's "Faneto" remains a world-beater of a track. JAY-Z paid homage to the drill icon's underground hit earlier this year, and its true power was displayed last month when it caused a floor to collapse from under a house party. 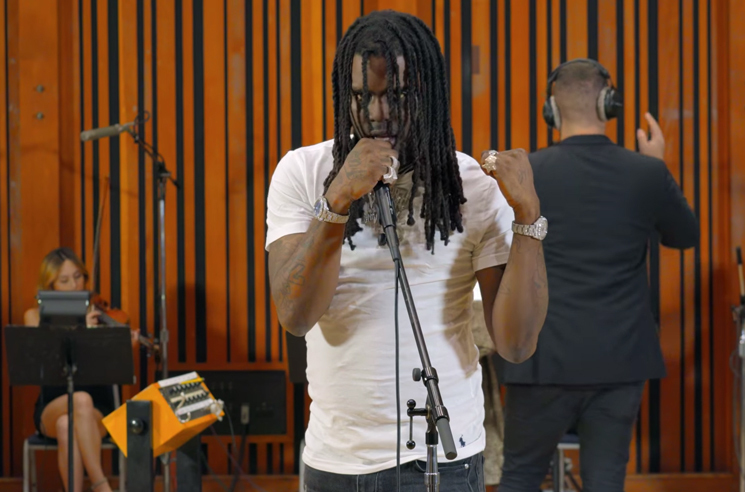 Now, Keef has given the song a new arrangement with help from Audiomack, which has paired him with a six-piece "drill symphony" live in studio, swapping the track's urgent sonics for something slightly more ornate. As part of the session, Keef also recorded orchestral versions of Finally Rich opener "Love Sosa" and Mansion Musick opener "Belieber." You can watch the Chicago MC perform backed by the ensemble below. Audiomack's ensemble features Summer Swee-Singh on piano, Camille Miller and Yasmeen Al-Mazeedi on violin, Tim Richardson on viola, Eru Matsumoto on cello and Jon Brick on drums.